Join the biggest European community event on Big Data & AI! The European Big Data Value Forum is a key European event for industry professionals, business developers, researchers, and policy makers to discuss the challenges and opportunities of the European data economy and data-driven innovation in Europe. 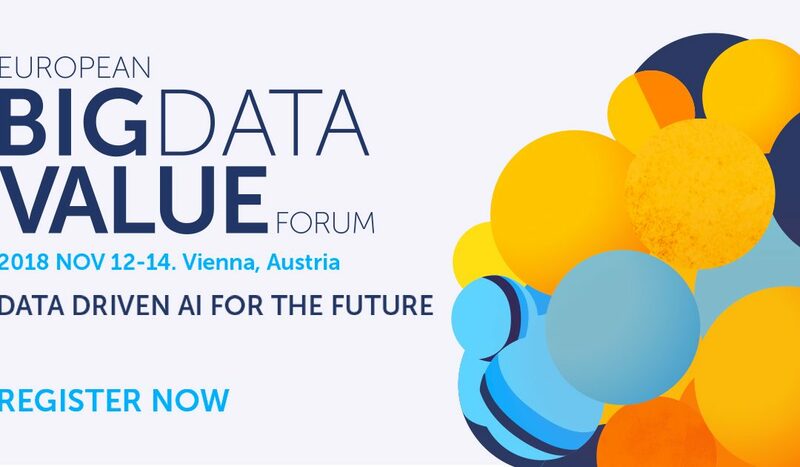 This year the European Big Data Value Forum (EBDVF2018) is following the headline: “Data Driven Artificial Intelligence for the Future”, and comes to Vienna (Austria), as an official EU presidency event, from November 12-14 at the Austria Center Vienna. The programme for the main conference days on 12th and 13th of November is available now. The two days are fully packed with high level keynote talks, panel discussions and industry and innovation presentations in three parallel sessions in Austria Center Vienna including a social event on the evening of day 1, the 12th of November, in the historical heart of Vienna at Palais Liechtenstein. The third day is organised as a workshop day including Networking, Ecosystem Development and Vision Workshops. The workshop day will take place at Siemens Austria. The programme can be found here. EBDVF2018 will be opened by Minister Norbert Hofer (Austrian Federal Minister for Transport, Innovation and Technology) and a representative of European Commission together with the organisers and the conference chairs. The number of participants is limited to a maximum of 600 people for the conference days and ~400 for workshop day and social event. Registration is OPEN and early-bird tickets are on sale for 150.- Euro (net) for a full EBDVF2018 bundle. Join the discussions around the European Data Economy, Big Data and Data driven AI!